With our Motorhome Rental Scotland service, our motorhomes are prepared to the highest standard and are fully equipped for your ultimate enjoyment. 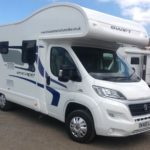 At Lowland Motorhome Hire, we take great pride in what we do and only offer the best possible motorhomes to our clients. Our wide selection of motorhomes for hire offer a unique range of set up and layouts. This is why are motorhomes are so popular, from couples, groups of friends right through to families. 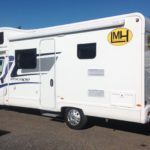 We will discuss your options so you can make an informed decision that will help you to choose the motorhome for hire that best suits your needs, allowing you and your family to get the best out of your holiday. 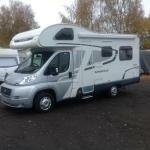 Our Motorhome are equipped and designed to go anywhere and everywhere in Scotland, the UK and Europe. With the motorhome options from Lowland, you do not have to rely on staying in a campsites. All of our vehicles have strong leisure batteries, large water and waste tanks and gas canisters to let you camp free and enjoy all the freedom you want. For affordable motorhome hire Scotland, contact the team at Lowland more details or to book a motorhome today.